A delegation of UK tech firms with a focus on innovation, is set to visit Brazil in November to explore new opportunities around climate change and improving resource efficiency. 17 entrepreneurs who specialize in innovative clean technologies will participate in the weeklong Mission to Brazil organized by the United Kingdom’s innovation agency, the Technology Strategy Board. Also participating is the Long Run Venture and UK Trade and Investment. The Technology Strategy Board is a business led UK government body which works to create economic growth, by ensuring that the UK emerges as a global leader when it comes to innovation. TSB acts as a magnet drawing together research business and the public sector, with the main aim to support and accelerate the development of innovative productions and services. The delegation will include businesses who solutions can address some of the current challenges facing Brazil, these include deforestation and the provision of clean safe drinking water and traffic congestion in urban areas. For example, Rezatec resolves global business problems caused by environmental change through scientific analysis of scientific and ground data. It monitors deforestation and calculates global forest carbon stocks. It’s tech reduces the cost of quantifying monitoring and verifying land-use change as well as environmental risk and asset values. Trakeo’s software platform depicts the supply chain and collates required to the case and to enable companies to track the origins of the produce and ensure its sustainability. 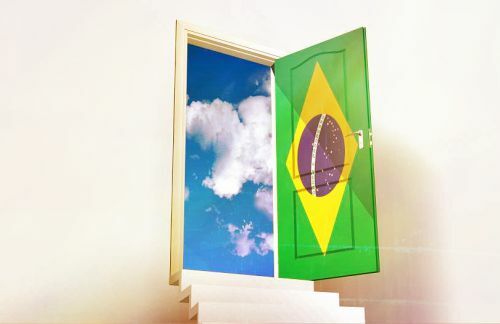 It’s not the first time that UK businesses have been eyeing Brazilian opportunities. Two years ago, the government encouraged businesses to double exports to Brazil and large companies including HSBC, Rolls-Royce and BP all have a presence there. Brazil is one of the fastest-growing economies in the world and possesses a depth and breadth with respect to its economy, which means that UK tech firms have to take the market seriously and provide solutions from the innovation angle. In April this year, the U.K.’s business secretary made a three day visit, with the less publicized scheme of attracting talented students from Latin America. Currently the United Kingdom is home to world leading universities. The business secretary highlighted the success of the “Science without Borders” program, which is the first large-scale student mobility program operated in the UK. It was created with the aim of fostering innovation and knowledge exchanges and would allow Brazilian students to spend three months in industrial places such as Glaxo Smith Kline Unilever and Ford UK. According to David Willetts, Minister of State for universities and science, Brazilians are keen to examine the new technologies which emerge from Britain collaborate on projects and purchase products.“I am confident that this will be yet another highly successful Mission that underlines our credentials as a nation of entrepreneurs.” He said. Commencing on 30th October, the seventeen companies will spend one week immersed in Brazil’s Cleantech business, innovation and investment communities in Rio de Janeiro and Sao Paolo. They will have an opportunity to extend their international operations in sectors ranging from waste and water, agriculture and forestry, bio energy and wind to smart buildings and transport. Have you seen a glimpse of the future today? Make your claim by simply adding #futureishere to an Instagram, Twitter or Flickr image.